Azerbaijani freestyle wrestling team has become third at the Senior European Wrestling Championships, which has wrapped up in the capital of Romania, Bucharest. The national team won three gold, one silver and two bronze medals, scored 145 points and took its rightful place after Russia (162 points) and Turkey (156 points), Report informed. 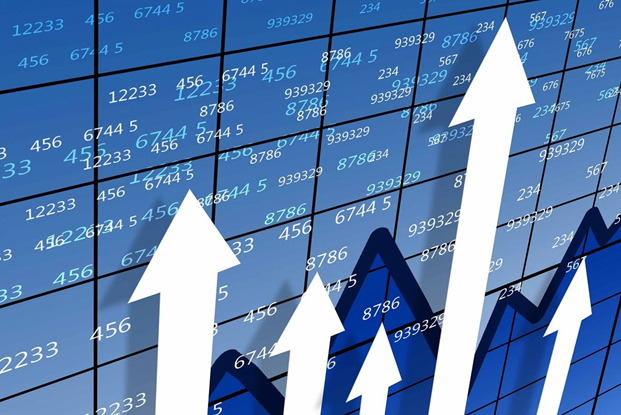 It is noteworthy that by the number of won gold medals (3), Azerbaijan and Turkey became the leaders of the championship. Azerbaijani freestyle wrestlers Jabrayil Hasanov, Haji Aliyev and Sharif Sharifov grabbed gold medals at the European championships. Hasanov won due to the injury of the Russia representative Akhmed Gadzhimagomedov, who was the contender of the experienced 29-year-old Azerbaijani wrestler performing in the weight category of 79 kilograms. The judges did not allow Gadzhimagomedov to compete in the final game due to his injury. Another Azerbaijani freestyle wrestler Haji Aliyev of the weight category of 65 kilograms in the final competed with the representative of Turkey Salahattin Kilicsallayan and defeated him. Sharif Sharifov confidently defeated Polish wrestler Zbigniew Baranowski and gained his gold medal. Another Azerbaijani freestyle wrestler Aghahuseyn Mustafayev, who competed in the weight category of 70 kilograms, reached final but lost to British wrestler Nicolae Cojocaru, so he won the silver medal. 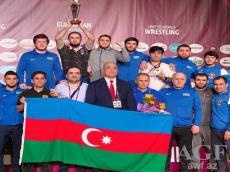 Thus, champions Haji Aliyev, Jabrayil Hasanov and Sharif Sharifov brought 25 points each to the Azerbaijani team, and the silver medalist Aghahuseyn Mustafayev added 20 points. In addition, Azerbaijani wrestlers Mahir Amiraslanov and Nurmahammad Hajiyev scored 15 points by winning bronze medals of the Championships, while 10 points were added by Hajimurad Hajiyev and Murad Suleymanov who ranked 5th in the European Championships. All this shows that successes of Azerbaijani wrestlers at different tournaments including Olympics is not by chance. Wrestling remains the most popular sport in the country and it is overseen by the National Wrestling Federation established in 1993. The Rio Games opened a new page in wrestling of Azerbaijan. The country became one of the two nations continuously increasing the number of medals achieved in the last five consecutive Games. Azerbaijan left Rio de Janeiro with a total of 18 medals - nine of them came from the Azerbaijani wrestling team.